Outrigger Waikiki Beach Resort is set to unveil its new exclusive lounge to guests on 01 July 2018. The ocean front Voyager 47 Club will be located on the second floor, offering guests unobstructed views of Diamond Head. Guests can start their day with premium Kona coffee and breakfast bites including fresh local fruits and eggs, pastries, homemade jam and more. The venue can also be booked for private events, offering an inimitable setup with sweeping views of Diamond Head, iconic surf breaks and stunning sunsets. “Since 1947, Outrigger has provided the best of Hawaii hospitality with its stellar service and authentic aloha – our Voyager 47 Club Lounge is a new way for us to provide enhanced experiences for our guests that make their voyage with us even more memorable,” said Revell Newton, general manager at Outrigger Waikiki Beach Resort. 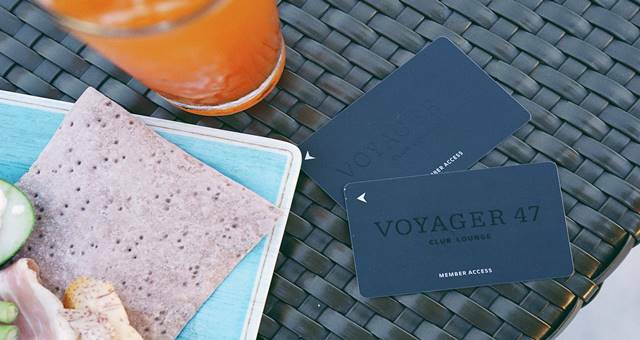 To help plan the day, a dedicated club concierge will be available for Voyager 47 Club Lounge guests to personally assist with anything from recommendations to reservations for activities, to eateries and cultural programs. Guests can return for the sunset to indulge in Outrigger’s locally inspired tasting menu with pupu platters and specialty draft beer bar – featuring seasonal brews plus local wines. In addition, Voyager 47 Club Lounge guests receive a complimentary two-day Tesla test drive as part of their stay, based on availability. The Voyager 47 Club Lounge at Outrigger Waikiki Beach Resort will be available exclusively to guests staying in Club Level Rooms on the dedicated 14th-16th floors, with 104 rebranded rooms in total. Hours of operation for the Voyager 47 Club Lounge are from 6 a.m. to 9:30 a.m. and 5 p.m. to 7 p.m.